Having a beautiful, productive garden requires work on your part, but it does not have to be overwhelming. Starting your garden with plants that are healthy and vigorous will give you a huge advantage. Healthy plants will establish themselves faster and will require less fussing and maintenance in both the short and long term. Plus, the faster plants become established in your garden, the sooner they will start to fill out and bloom or begin producing fruits for you and plants that are not stressed will establish quickly. At first glance, all the plants in the nursery look healthy, lush, and glorious. Usually, they are. However, there are times when a few quick checks can prevent you from bringing home a lemon. 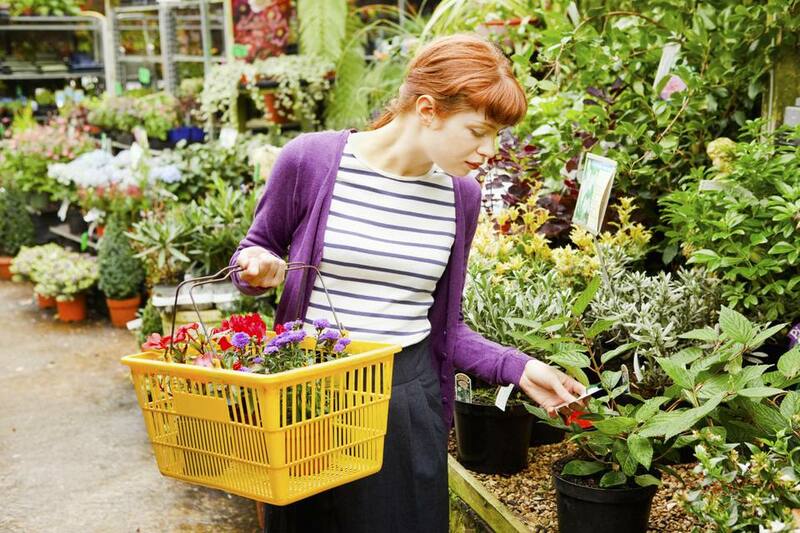 Take some time to look over your purchase, before you introduce a problem into your garden. Here are some things to check for, before you bring a plant home and plant it in your garden. Quality of Nursery or Garden Center: Take in an overview of the entire plant department. Look to see whether or not the majority of the plants seem healthy and well cared for. If there are a lot of wilted or browned plants in one section, chances are good the rest of the plants are not being given great care. Foliage: Evaluate the condition of the specific plant in which you are interested. Are the leaves green, shiny and lush? Steer clear of any plants that are wilting or yellowing. Stressed plants may not recover. This is especially important if you are buying annuals and vegetables. These plants won't have time to rally. They could spend a month or more recovering in your garden. Shape: Consider the shape of the plant. Is it compact and full, with multiple stems? With plants, taller is often not better. It could mean the plant has been straining for light and has grown thin and spindly. Besides the stress it is undergoing, it may never branch properly and could flop in the garden, as well as produce fewer buds and flowers on its limited stems. Insects & Disease: Closely inspect both the plant and the container for signs of insects or disease. Check both sides of the leaves and the potting soil. Signs can include blackened areas, holes, spots, mushy areas, stickiness, webbing, and distortions. Root System: Don’t neglect the roots. If the plant is pot bound and the roots are growing out of the bottom, the plant may be so stunted or stressed it will never recover. If there aren’t many roots and the plant lifts out very easily, it was probably recently repotted and could use more time to become garden worthy. Root Ball: When buying a balled-and-burlapped tree or shrub, the root ball should feel solid. If it appears broken, there’s a good chance the roots have had a chance to dry out and the plant will suffer. Stem Damage: If the plant has a thick or woody stem, make sure there are no cracks or scars. Even prior damage can weaken a plant or be an invitation for disease or insects. Weeds: Weeds in the pot are competing with the plant for nutrients. They also signal some neglect on the part of the nursery staff. The last thing you want is to introduce a new weed into your garden. Buds & Flowers: Although it's tempting to want to buy a plant that is already covered in flowers, plants in the bud stage will transplant and thrive better than plants in flower. Besides, the existing flowers will fade quickly. You'll get a longer bloom time at home if you purchase a plant that is not yet flowering. When All is Said and Done: While the above steps will help you find the heartiest plants if you’ve just got to have it, go ahead and buy the plant. With a little pampering, it just may defy the odds. Plants on sale at the end of the season may be bargains but check them carefully. They have probably been sitting in that pot all summer and be root bound, drought-stressed or they may have a lot of weeds hiding under the leaves at the base of the plant. Be especially careful of houseplants. Any houseplant pest brought into a confined area will spread quickly. Are You Killing Your Plants with Kindness? How do I plant Tulips?